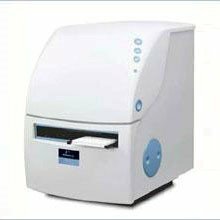 Purchase superior quality optics and monochromators for optimal chromatography and spectroscopy processes in your research and development laboratories. NETA Scientific is a leading supplier of high precision optics and monochromators including beam expanders, beamsplitters, bi-concave and bi-convex lenses, FTIR crystal discs and rectangles, concave mirrors and concave partial reflectors for improved efficiency in scientific testing and analysis. We offer monochromators that deliver the best performance for optical measuring instruments and other applications where varying amount of monochromatic light is required. Shop our selection of versatile prisms, laser lens protectors, infrared filters, spectroscopy filters, and more from well-known brands.